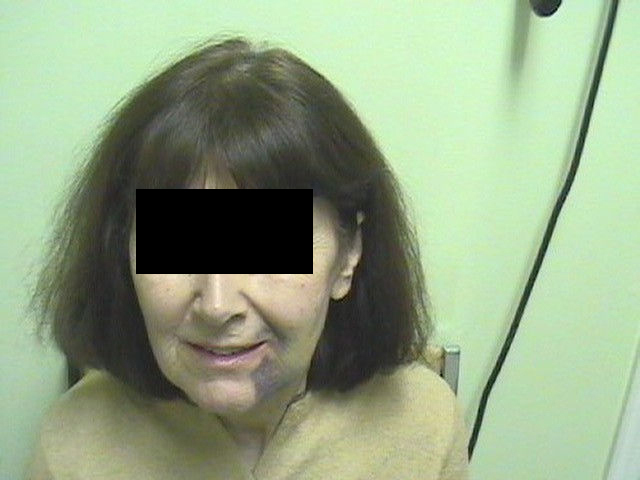 This patient received an injection for restoration of an upper tooth on the left side. 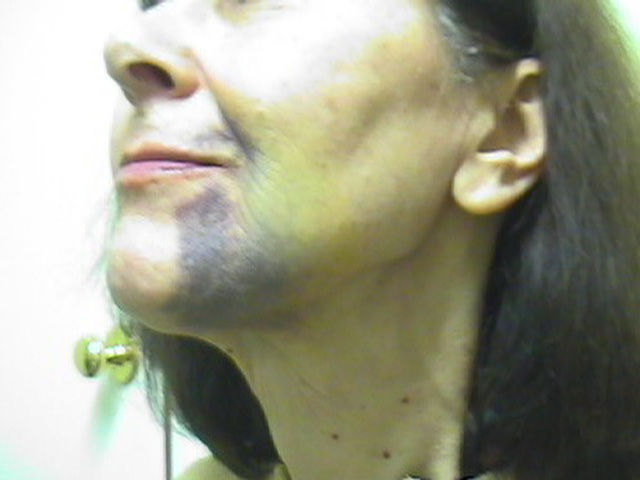 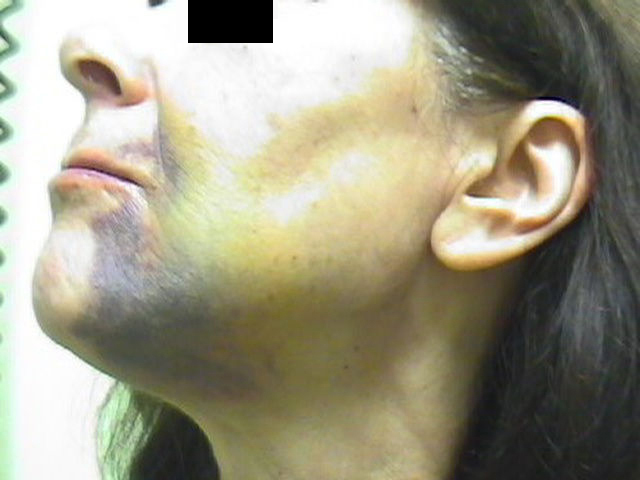 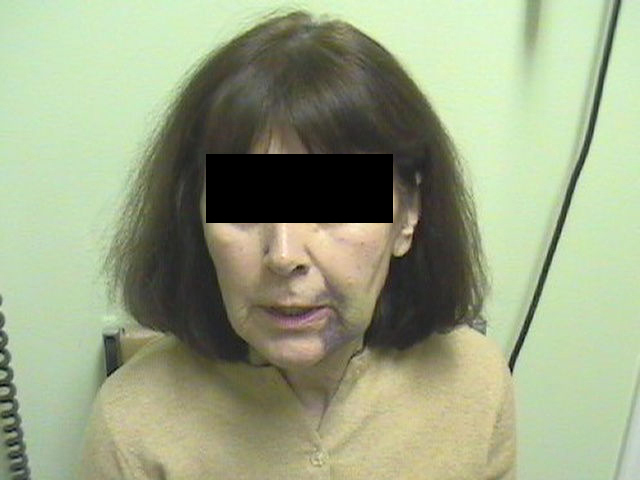 Two days later the patient returned with a severe hematoma involving the maxilla and the mandible. 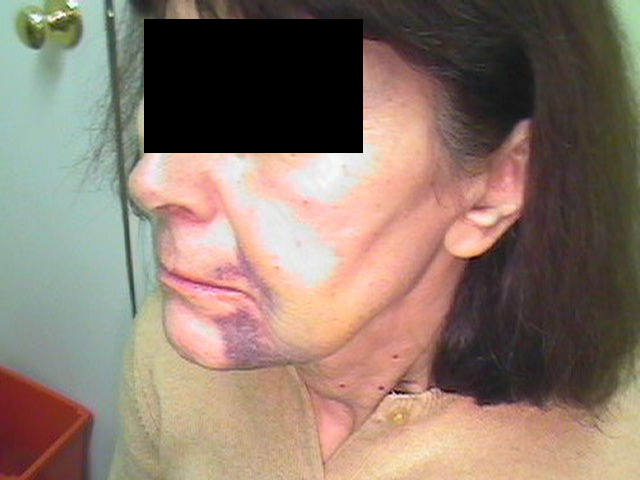 A hematoma, a blood clot resulting from hemorrhaging into surrounding tissues, occurs if a muscle fibre is penetrated or a blood vessel is perforated by the injection of the anaesthetic into the lower jaw. 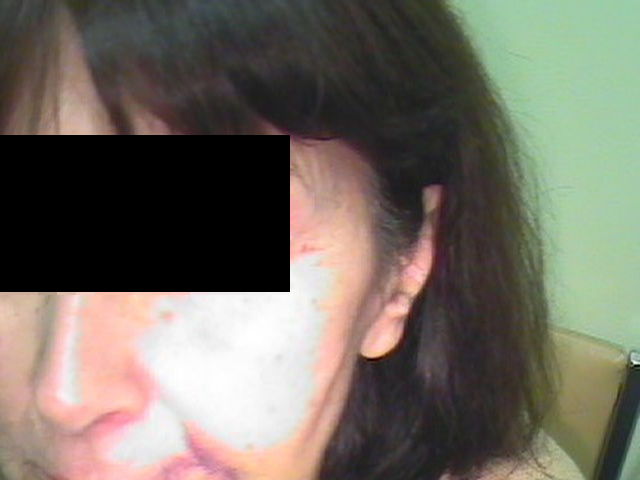 Usually warm moist heat applications, stretching exercises, and time is sufficient treatment.